Students at INTI’s campus in Subang Jaya have the opportunity to earn the UH BA (Hons) in Accounting & Finance without having to go abroad. The BA (Hons) in Accounting & Finance (3+0) programme introduces students to both financial accounting and management accounting. Students will also develop the essential skills and knowledge in Finance through modules such as Principles of Corporate Finance, Advanced Corporate Finance and Financial Strategy. Other modules include Malaysian Company Law and Malaysian Taxation. As the entire degree can be completed at INTI, students have the opportunity to earn a prestigious internationally recognized degree without having to incur the high cost of tuition and living expenses usually associated with pursuing tertiary level qualifications abroad. They gain local access to the same content taught in the UK and will receive a degree from UH upon successful completion of the course. UH was recently selected as one of the world’s top 100 universities aged under 50 by Times Higher Education (THE) in a new addition to its World University Rankings portfolio. The rankings are based on excellence across teaching, research, citations, industry income and international outlook. UH scored highly for the citing of its academic research on a global scale and for its international outlook and mix. 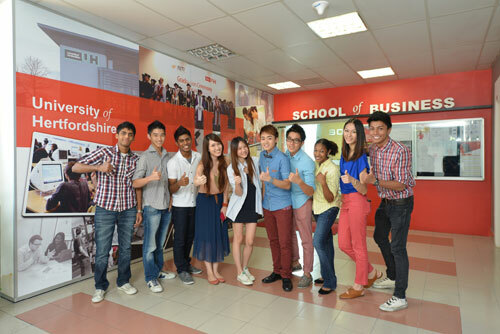 INTI’s ties with UH span more than a decade and it is the first international Associate College of the University in Malaysia. “We offer a comprehensive learning experience through a blend of face-to-face and online learning incorporating online support, individual and group assignments, presentations, lectures by international academics and industry leaders – all based on the learner’s personal development programme for personal effectiveness. As part of the Laureate International Universities network, INTI has access to the global resources, best practices, teaching methods, international faculty and management tools that are truly world class,” said Sotheeswari Somasundram, Dean, School of Business, INTI International College Subang. BA (Hons) in Accounting & Finance (3+0) programme graduates are ready to assume entry-level managerial positions in accounting or finance. They may serve as accountants, tax advisors, auditors, consultants, financial controllers, accounting assistants, management trainees, bankers and financial planners or counselors in public or private organisations. For more information on the BA (Hons) in Accounting & Finance (3+0) programme, call 03- 5623 2800. * Further exemptions may be provided at the discretion of the professional bodies.